Tribal tattoos originated from old tribes such as the Maori, and islands like Samoa. Today, tribal tattoos capture both old-style imagery and newer abstract designs that still have a traditional feel. 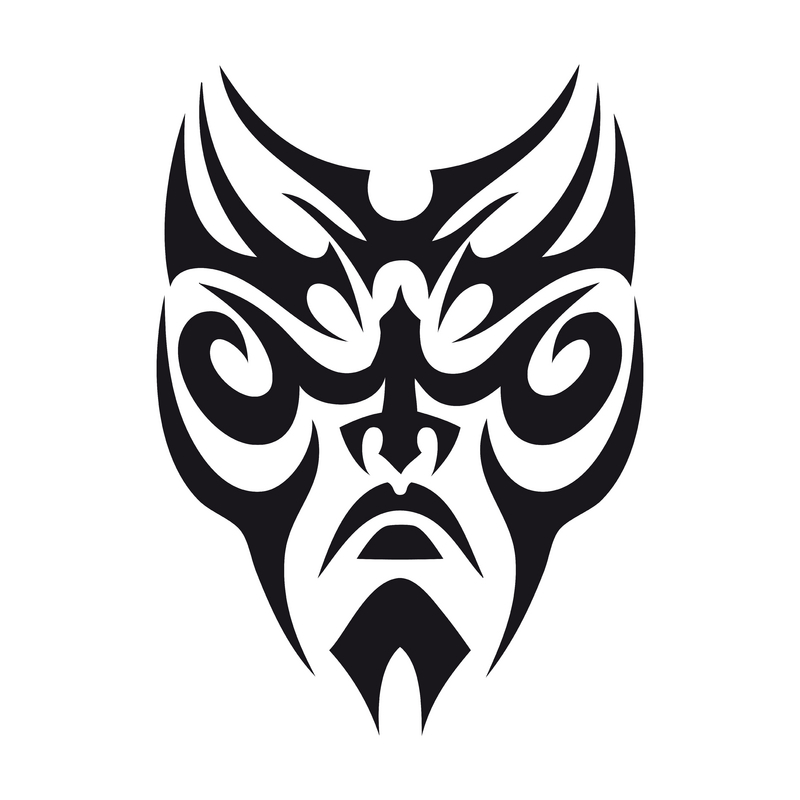 Some of the influence for tribal tattoos come from old Samoan tattoos, like the arm band pictured here. Tribal tats that have tight detailing such as this are often Samoan in origin. Maori style tattoos are the inspiration for many contemporary tribal tattoo designs. This tattoo style consists of lines paired with black grayscale images. This sleeve uses lines to create shapes in the "blank" areas of the skin. Tribal tattoos are often designed so that they hint at an underlying shape. This tattoo uses a large black area to represent the shape of a staff. While the vast majority of tribal tattoos use blackwork and grayscale, some make use of other colors. This design fades from black to red in some areas, highlighting portions of the tattoo. Tribal designs do not have to be flat images. Adding a dropped shadow to the design helps bring it to life, like this tribal tattoo of flames. The slight shadow helps lift the image off the skin, giving it a three-dimensional look. While tribal tattoos can be drawn to mimic or suggest an object or shape, many of the designs are abstract. This style sometimes includes multiple spikes that could suggest barbed wire, or be seen as purely abstract design. Tribal tattoos intended to suggest an image can do so in a very subtle way. This flowing vine tribal tattoo hints at creeping vines and flowers, but can also be seen as a scrolling abstract design. Animals can also be depicted in a tribal style. This tattoo of three turtles is enclosed in a Samoan style circle that suggests a connection and a trinity. Dragons are among the most popular animals to render in the tribal style. Because dragons are mythical creatures, they can be drawn in an abstract or stylized design that is still instantly recognizable. Visit Cool Dragon Tattoos for more examples.